Well, you obviously are interested in finding out more information about me, or you wouldn't have come to this page. I will try not to disappoint you with the juicy details of my life(sigh). Well if the truth is told, art is my life, and most of it is already displayed on this site or various links. I'm 6'3. I keep in pretty good shape, in other words, a health nut. Not gym rat, or total gym nut, but I do take very good care of myself. 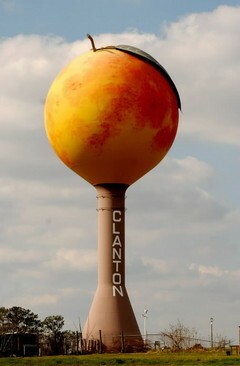 I live in Alabama home of the worlds greatest Peaches and the Giant Peach Tower. I mentioned I love anime. Almost 70% of what I watch is anime. I also love manga. I really dig various series..... far too numerous and changing to name here. I love watching Politics. Conservative tv shows are the best. Sean Hannity on On Fox News is one my favorites. Ingraham-angle is also on my favorites to watch. Don't waste your time going to one verse church's. I also like to study with Pastor Arnold Murray and his son Dennis Murray, both very sharp bible teachers that are truly gifted with the ability to teach from the bible on a higher level. I have never seen anyone that actually teaches the Bible in a classroom format. Both tackles every single word(literally) so nothing is left unanswered. The first thing you will notice different about the format is REAL teaching from the bible and NO- begging for money donations every few minutes. Actual real deep dive bible study from start to finish. However, if you want a real, and I mean absolutely real bible teacher, that actually covers the entire whole bible-books-chapters-pages-line by line- and all for free daily(no begging nonsense), then Shepherds Chapel is your church. UPDATE--Paster Murray has passed on to the father in 2013, but the SCN network still continues to show his old shows- as well as his son Dennis Murray now handles the LIVE daily shows when they are Live. I also like to someday visit parts of Europe. Mainly Scotland and Ireland since my ancestors are from Scotland, and Ireland. Also, I want to visit Japan one day. I hear Japan is a really nice place to visit, and the people are extremely friendly, and love tech, comics, etc. Well,that's it for the personal information. If you have more questions, then you'll have to e-mail me. Please check out my site from time to time, for new updates. The main thing is I hope you enjoy looking at my work and I thank you for visiting my website. 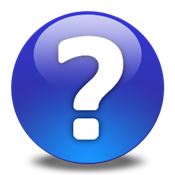 All things on this site are copyright © Brian Robinson and/or its respective creators.